ONLY $250 per hour for 8 Balls! Nothing like getting together and playing a family game of battle ball! All smiles here - book your time today! 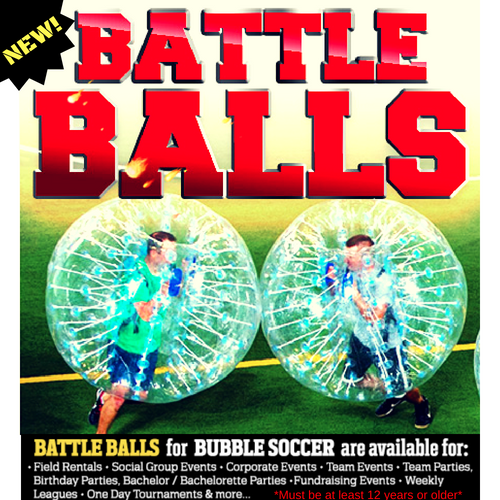 Add Battle Balls to your Birthday Party at the Dome! The Germans call it Loopyball, while other countries in Europe call it “Bubble football” or “Bubble Soccer.” The sporting game that’s sweeping the globe actually started out as a joke between Henrick Elvestad and Johan Gold, hosts of the Norwegian comedy sports show “Golden Goal.” The duo posted a video of them playing Bubble Soccer on YouTube, and its popularity spread across Europe like warm Nutella. Mmmm. The game itself is a cross between soccer and zorbing, a sport where an individual rolls down the side of a hill or sometimes a level surface in a giant plastic orb. The plastic orb surrounding the player in Bubble Soccer is similar in construction but differs where these allow the player’s legs to run around freely or essentially wear the orb. We call our orbs Battle Balls because the alliteration evokes the moods of both competition and silliness. 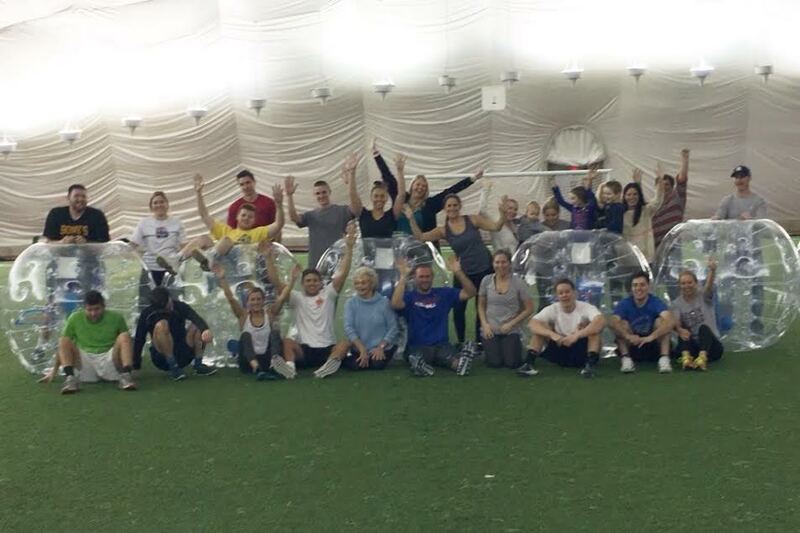 The objective of Bubble Soccer is to score against your opponent’s net and knock each other down while trying. You could argue that this is one of those games where defense is more fun. The game starts much like a competitive game of dodgeball. When players hear the whistle, they fearlessly rush into the center to find and kick a soccer ball through their about-to-be sweaty Battle Ball suit. The ever-increasing amount of sweat will eventually make visibility an ongoing struggle because the exercise is real and this IS most definitely a sport. Players’ hands are fixed inside the bubble, requiring them to maintain balance using just their legs. 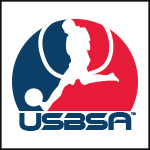 Mobility is sacrificed in this game – but the Battle Balls have leveled the playing field for players of different sizes. Leaping ability and stress levels are the two most relevant variables. And in regard to safety, we think that the coach and players sitting on the bench are in the greatest danger — of an active player accidentally steamrolling the sidelines. It might take a few rotations for players to find their “game legs,” so in the beginning, they often become somewhat of a “human wrecking ball.” Maybe we got it all wrong with those helmets and pads.